The most exciting sighting at Lime Kiln yesterday wasn't a cetacean but a mustelid! 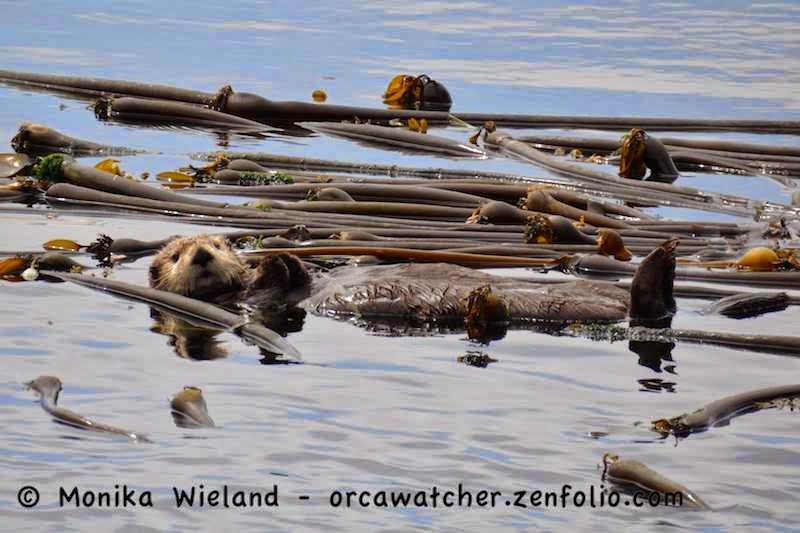 There have been a few sightings of sea otters around the San Juan Islands in recent weeks and I was ecstatic to be able to see one myself. 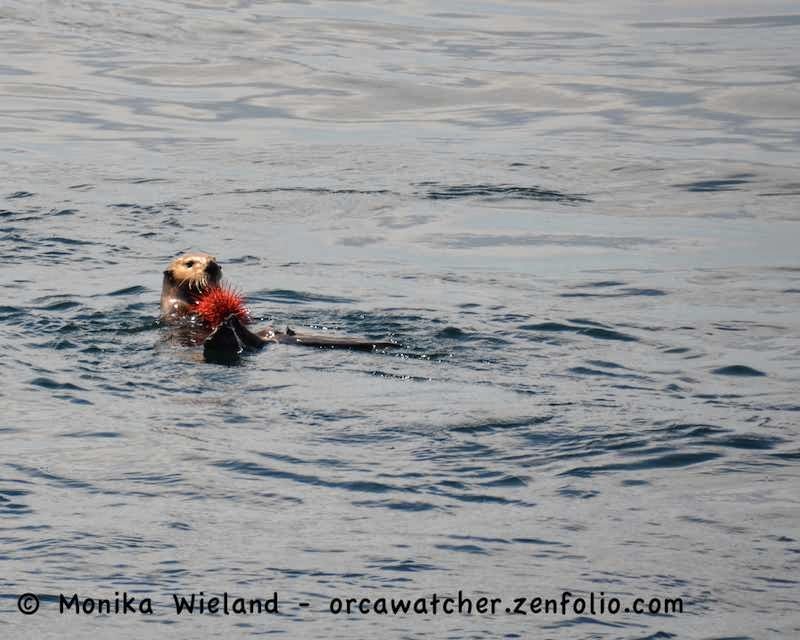 I've only seen a sea otter off Lime Kiln once before, in 2005. 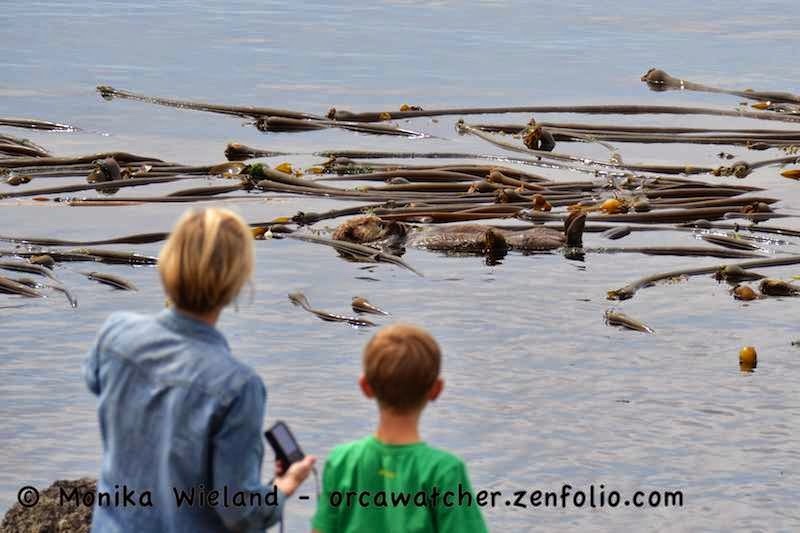 Sea otters used to inhabit the Salish Sea, but were locally exterminated during the fur trade. 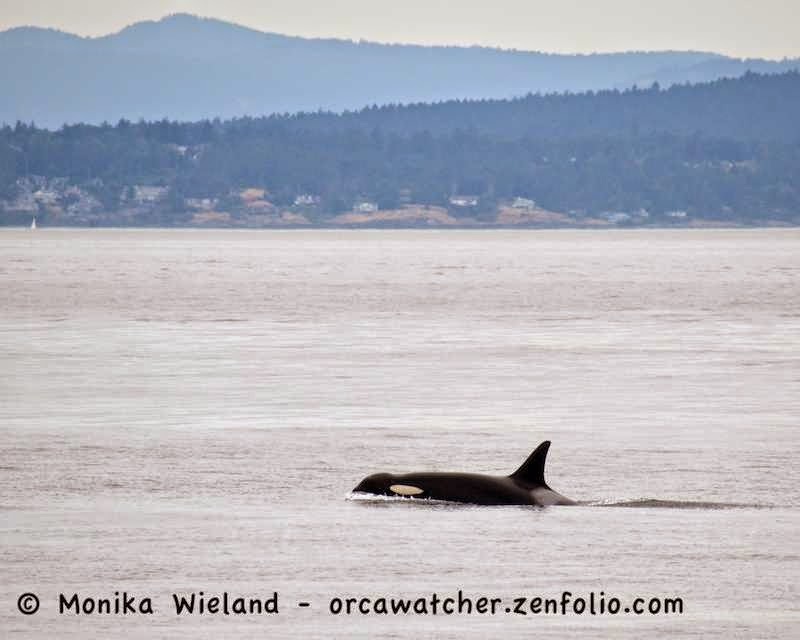 A population has been re-established on the outer coast of the Olympic Peninsula in Washington, and is doing well, so it's reasonable to hope that one day they will re-expand back into inland waters. This otter was not afraid of people at all! Lots of folks were climbing down on the rocks quite close to it, and it didn't seem to mind one bit. In fact, I'm pretty sure it bothered me more than it bothered him/her. 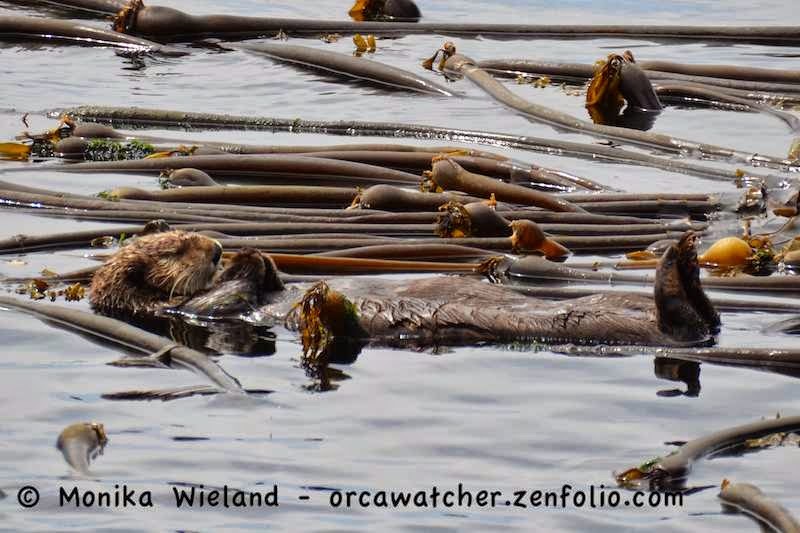 See it napping in the kelp in the photo below? 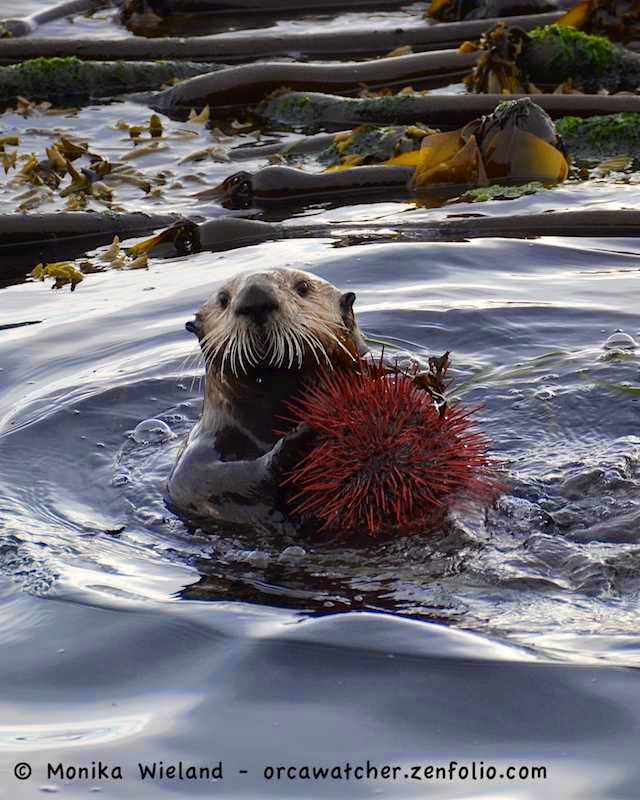 It was hanging out all day, and over the course of the afternoon it did all the various (cute) otter behaviors: slept in the kelp, swam on its back, did some barrel rolls, caught and ate a few sea urchins, and banged a shell open with a rock. Late afternoon I was just about to leave when I decided to walk down to the shoreline one last time to see the otter. I'm glad I did, because that's when I got my best shot of the day! 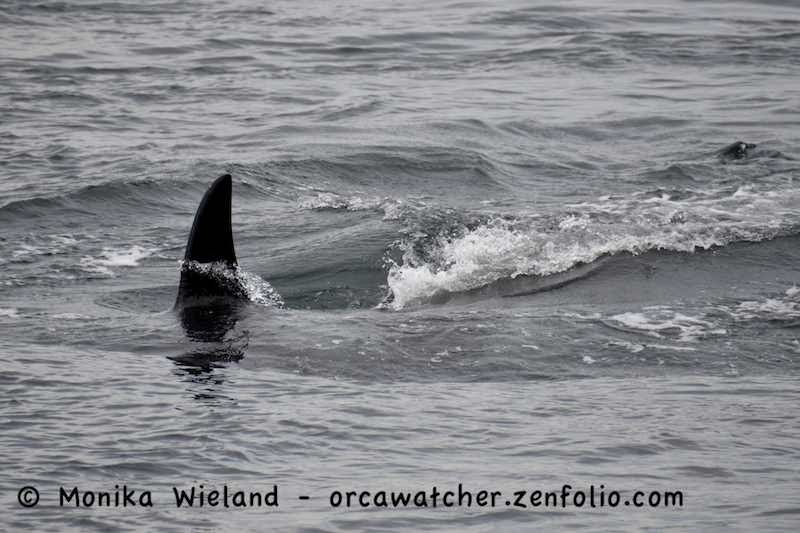 As fantastic as the otter was, the whales did come by too! 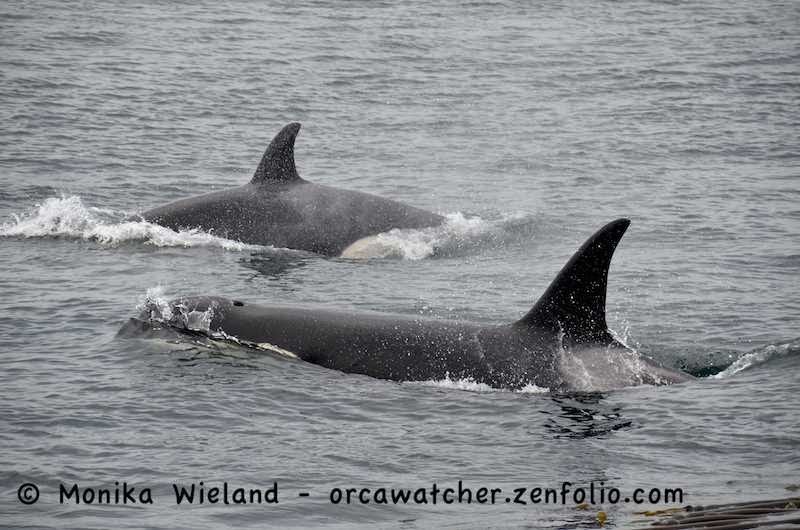 After spending the last couple days up north, J2 Granny's group (J2, J14s, J16s, J19s, and L87) came south down Haro Strait along with the K14s. Interestingly, it wasn't Granny who was out in the lead, but K14 Lea. 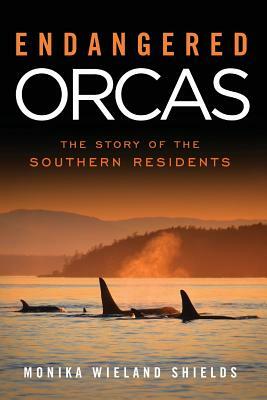 Most of the whales were about as far out as K14, or further. J37 Hy'Shqa and J49 T'ilem I'nges stopped to do what I'm assuming was pursue a fish, and then went down for a longer dive. When they popped up, they were surprisingly right off the kelp just to the right of us!! These two have been my most photographed whales this season, I think.